M13 in the constellation Hercules is approximately 25,000 light years from Earth. The diameter is about 145 light years. This is sometimes called the Hercules Globular Cluster. 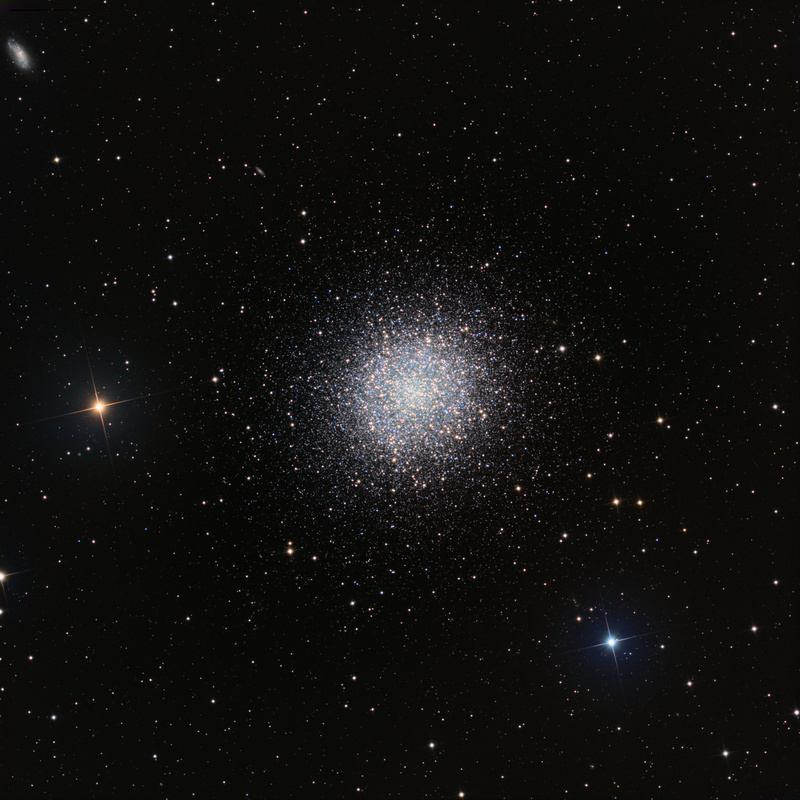 M13 consists of over several hundred thousand stars. the apparent size of this cluster is 23 arcmin. In the upper corner of this image is the galaxy NGC6207. 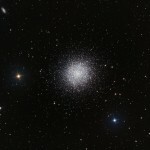 the small galaxy directly between Ngc6207 and M13 is IC4617.